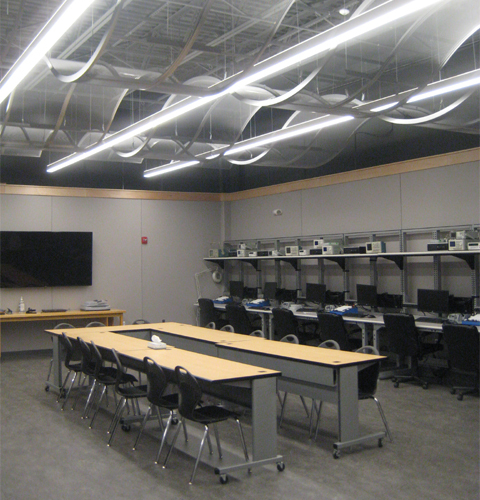 NBF Architects worked with the Stafford Technical Center to renovate their existing shop space into a new STEM Academy; a center for science, technology, engineering, and math studies. A new classroom provides students with a space to work together, learn new material, and use critical thinking to determine how to solve various problems. 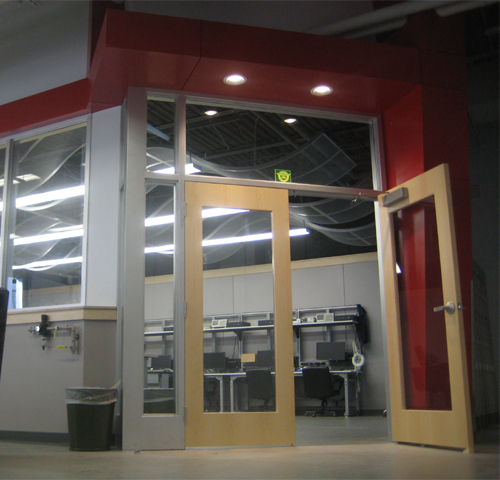 The entrance into the classroom consists of a glass storefront and an asymmetrical element with a bright, bold color. This draws attention to the classroom while keeping a visual connection between the classroom and the remaining spaces within the academy. 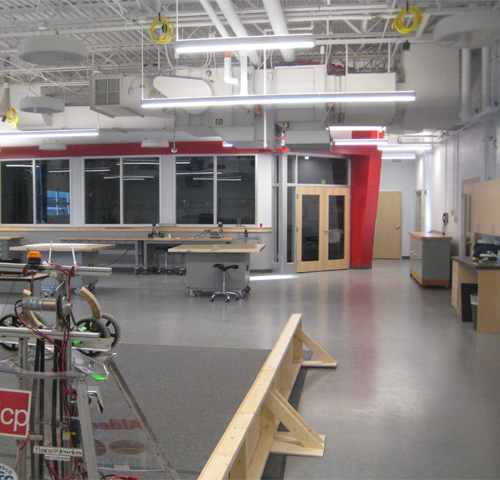 There are additional work tables outside of the classroom where students can work on robots and other equipment. There is also a playing field to test the abilities of the robots and hold competitions.